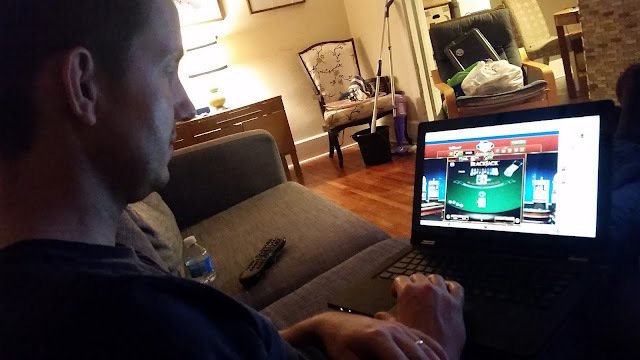 While on a recent trip to DC I decided to pass the time in the passenger seat while playing DoubleDown Casino on my phone Now, the only time I've set foot in a casino was when I visited the Bahamas but I can get seriously into online games, especially while I'm bored and with my phone, so I gave DoubleDown Casino a try. First off, it's totally free. You get 1 million chips for just connecting your Facebook account to their site. Also, I can come back daily for the daily whell spin to earn free chips. Secondly, you don't have to be a casino expert to play. Like I said before I've only ever entered a casino once and I had no trouble choosing and playing the games they had to offer. I let my husband try it later that day after we got back home to relax and instead of watching TV we both played casino games which was just as fun as playing a scratch off ticket but totally free to try and lasts a lot longer than a scratch off ticket. We dabbled a little in BlackJack, then played a slot machine game, tried a few games of Video Poker but in the end we came back to the BlackJack table. We liked it because you can choose how much you can bet. You can either win a million chips or lose a million chips in one hand. Kind of thrilling. I decided to save some of our 1 million inital free chips for later. I want to save some for the next time I'm stuck in the passengar seat on a long trip or waiting at the DMV (which I'll have to do tomorrow). Also, if you run out of your first 1 million chips you can earn 1 million for each of your Facebook friends you invite to play. 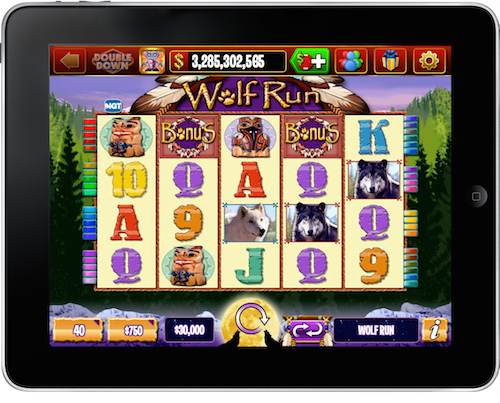 With all the top games players know and love from the casino including over 50 slot games to play they're sure to have your favorites. It's the only online casino that delivers an authentic Vegas experience. What's your favorite game? Dailly Slot Tournament? Poker Game King Video Poker? Bingo? Blackjack? Roulette? DoubleDown Casino offers it. It's a great escape from daily routines. Check it out the next time you are waiting in line, stuck in the passenger seat, on the train, bored at home, taking a break or at a doctor's appointment. Since you can play on your phone, tablet or computer, as well as Facebook, iOS, Android and Amazon Kindle Fire you can play almost anytime or anywhere. 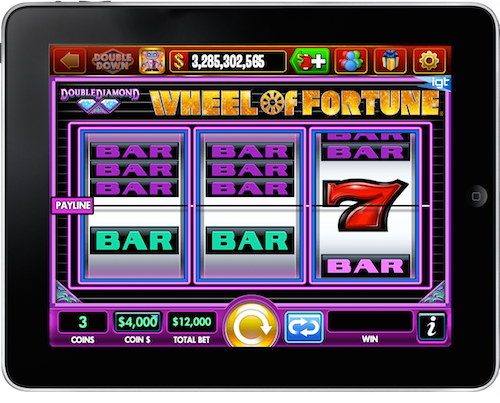 You can even play now with friends so you can simultaneously share in the thrill of taking a chance and winning. So go give it a try! It's a great way to pass the time. If you like it be sure to come back and let me know which game was your favorite. And don't forget to share with your friends to earn another $1 million per invite! Keeps you playing for as long as you like!